Ike's was forced to shut its doors in the Castro on Sept. 13. 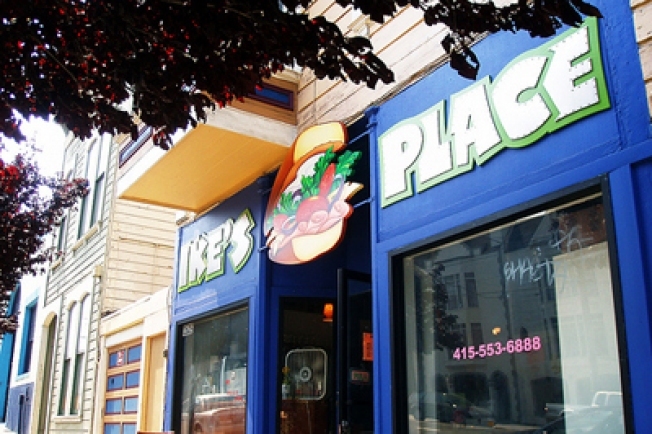 Ike's Place will serve its last sandwiches in San Francisco's Castro District today as it prepares to vacate its home at 3506 16th St. following an eviction order. "The main complaints were noise, the long lines of customers and waste," owner Ike Shehadeh said. "And those came when we were serving only 30 people a day." The official closing date -- by order of the sheriff -- is Wednesday but the owners are taking the day tomorrow to clean up the place. Ike's, which he said now serves upward of 600 people each day, gained its popularity through word of mouth, a number of feature articles and a visit from the Travel Channel's "Man Vs. Food" show. Shehadeh said it is only a handful of neighbors who are upset by the activity. "It's basically 750,000 against three," he said. "But, unfortunately, it's those three people that have power." The closure of the Castro shop will put 47 people out of a job. Employees who wish to stay with the company plan to carpool to its Redwood Shores location to work there. In addition, a new shop just opened on the Stanford University campus. There's a push for the shop's owner, Ike Shehadeh, to open up shop in the Lower Haight. But Shehadeh told the Bay Citizen that he's not likely to do that over fears the shop would face the same over-popularity fate in that location. As a final farewell, Ike's will remain open until midnight today, and will be selling merchandise at discounted prices. "We are just going to have a lot of fun," Shehadeh said. "We're going to play it by ear and whatever happens happens."